Natural Garden Design course online. Become an expert at designing home gardens. After developing an understanding of the workings of natural environments you will learn to create innovative plans for low maintenance and visually pleasing gardens. This online course in Natural Garden Design delivered via distance learning and studied from the comfort of your own home or indeed from anywhere, develops your ability to design beautiful gardens for your clients, using both native or a mixture of indigenous and other plants, in an imaginative and professional way. Being a professional garden designer isn't just about arranging plants in a symmetrical pattern to create a aesthetically pleasing garden. A true professional must know how to create different types of gardens for increasingly demanding customers, who look up design concepts on the internet and then want a garden designer to create something similar for them. Some customers will want the cottage look. Others the neat and tidy look and many will want a natural looking garden, where choosing the right plants which attract an abundance of wildlife and then complimenting it all with the use of ornamental features, will need to be taken into consideration. This course has been developed over many years by garden design professionals with a wealth of experience to call upon, You can tap into their experience and help create a niche market for yourself by creating specifically themed gardens for discerning clients in your area. 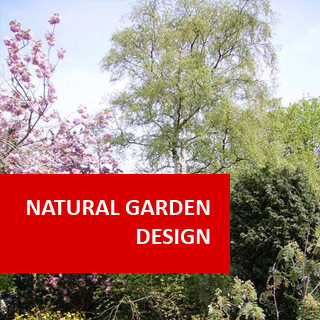 A very popular and sought after theme that you will be able offer from this course, is a rain forest garden, Add this and many other marketable garden design skills to your CV and areas of expertise with ADL's Natural Garden Design Course. What is a Natural Garden? What is a Natural Wild or Bush Garden? 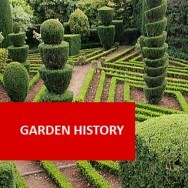 Explain the historical development of natural garden design, in your locality. Analyse plant inter-relationships within a specific natural environment (e.g. an area of bushland). 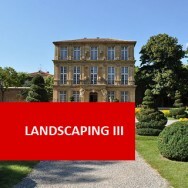 Analyse the design of three natural gardens, in an essay illustrated with photographs or sketches. 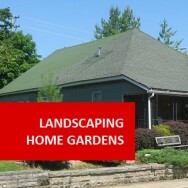 Develop three alternative natural garden concept plans for the same specified site. Collect pre-planning information for a site for a proposed natural garden, by conducting a site survey, and interviewing a prospective client. Explain, through a sequence of illustrations, a logical process of developing a design for a natural garden, on a specific site surveyed by you. Prepare concept plans for two small natural gardens, including: *A rainforest garden *A sclerophyll garden. List fifty different plants suitable for use in a natural garden design, of a specific style on a specified site, in your locality. Explain compatibility considerations, when selecting different plants to include in the same natural garden design. Develop a nursery customer information sheet, to provide guidelines for planting design of a natural garden. Prepare planting designs for three different styles of low maintenance garden beds, between 30 and 60 square meters each in size, and using only Australian Native plants. 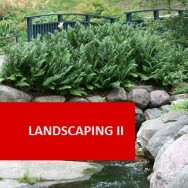 Maintenance, of ten different landscape materials, suited for use in a natural garden design. 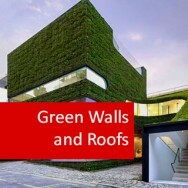 Explain, using illustrations, the structural design of a masonry garden wall. Explain, using illustrations, different appropriate applications for timber structures in a natural garden design. Prepare plans, including structural diagrams and materials lists, for the construction of three different landscape features, which are appropriate for inclusion in a natural garden. 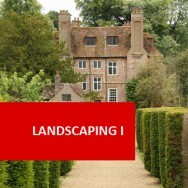 Develop a design "Brief" for a natural garden, in consultation with a client, through an interview and site inspection. 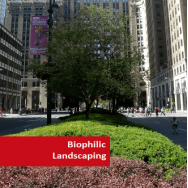 Materials specifications, including types and quantities, to suit a site surveyed by you, and emphasising one type of plant, such as ferns, wildflowers or sclerophyll type plants. 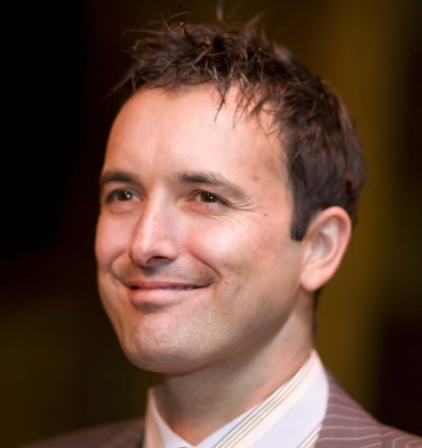 Materials specifications, including types and quantities. Explain the purpose behind decisions made by you in a natural garden designed by you. The rainforest is commonly seen as one of the ultimate environments to duplicate in the garden. It can provide a home for native animals or provide you with a quiet, pleasant place to escape to. It is easily ‘constructed’ provided a few requirements are met to satisfy plant growth. Protection from direct sunlight and strong wind and an abundant supply of mulch or leaf matter are three of the most important necessities for the establishment of a rainforest. Understandably, if you already have a shaded site it makes your rainforest garden one step closer to completion. Many people do not realise it, but rainforest plants are very adaptable to the domestic garden. Large rainforest trees that grow to heights exceeding 20 metres will only grow to about half that height in sunny domestic gardens. Full shade is not essential for rainforest trees as many will grow in full sun and others may require some shade while young. As a result these trees become more rounded with fuller canopies. Large areas are not essential to develop a rainforest - many people have successfully developed miniature rainforests on domestic sites. Any soil can be made suitable provided a bit of extra pre-planting preparation is performed. The better your soil is to begin with, the easier and quicker will be your established rainforest. With adequate compost or leaf-litter, water is retained better in the soil therefore less hosing will be required. There are several types of rainforests around the world ranging from tropical climates through to temperate ones, so no matter where you live; your climate can be assisted to produce a rainforest. Many rainforest plants are extremely easy to grow, so much so that many are used as indoor plants (e.g. Castanospermumaustrale) and others have been available throughout nurseries for decades (e.g. Archontophoenixalexandrae). A rainforest is made up of levels or strata of vegetation. These are generally referred to as the upper storey, middle storey and the lower storey (or ground covers). In a typical domestic garden it is important to realise that you should not plant rainforest species that can grow to 20m or those that have invading destructive roots like Umbrella trees. For many gardens those plants that would normally be classed as middle storey plants would be best used as the upper storey plants so that the rainforest landscape takes on a human scale. Pioneer plants are usually fast growing with a spreading canopy. They are however relatively short-lived and may need removal at some later date. These plants are important by providing necessary shade and leaf litter which helps retain moisture and improves the organic matter content of the soil. These plants also provide the essential shade for ferns and ground covers and protection for the slower growing species. Climax plants are those plants that require some shade while young but which eventually outgrow the shade of the pioneer plants resulting in their deterioration. They are long-lived. These are planted after the pioneer plants are between 1 to 2 years old with variable spacing distances (e.g. 1.5m to 3m apart). A reasonable canopy can be developed in about 5 years depending upon species suitability to your climatic region. Ground cover and other under-storey plants require plenty of shade and shelter. They are best planted after pioneer plants are well grown and climax plants are well established. These plants consist of mainly ferns, orchids, native lilies, gingers and small palms. These plants prefer moist but not waterlogged sites. As these plants are at eye height, you may wish to provide contrast to the all-green rainforest by adding colourful "tropical" plants. If however you are a purest, you may prefer to keep with only native ground covers. Once established many rainforest are self-sustaining. These however are in districts that receive about 750mm p.a. of rainfall. In other areas, additional watering is recommended in dry times to prevent plant death.Hosing the canopy reduces transpiration (water loss from leaves) and also cleans the plants. 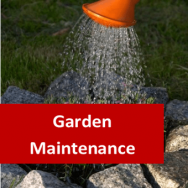 The use of trickle or sprinklers will place the necessary water exactly where it is required. This is an essential part of the rainforest that must be kept up in volume. Continual leaf fall may supplement this mulch but if the site is steep, new mulch may be needed to be added to overcome erosion or wash off. A layer of mulch provides a cool environment for the roots, a holder for moisture and a continual supply of mild fertiliser. Maybe more importantly it provides the home for countless microbes to make the ecosystem complete. A balanced fertiliser can be spread over the area and watered in. Tropic fertiliser at a rate of 1 kg per 5m square applied 3 or 4 times over the year is frequently suggested. Blood and bone and pelletized manures are also suitable. Organically based fertilisers are the best for this ecosystem. With adequate mulch and reduced light, few weeds will grow in the rainforest. As weeds compete for light, moisture and nutrients they are best pulled out upon sight or spot sprayed. To obtain the succession of rainforest development and replacement of dead plants, future plantings may be necessary. Try not to transplant rainforest plants each season until a final site is decided - this only results in weak plants. Once a plant has been planted leave it there unless it is essential that it must be removed or transplanted. As this garden is to be an environmental aware garden, it is best not to use any toxic chemicals. Try to leave insects for their own predators. If possible manually collect insects or disease damage and destroy elsewhere. If sprays must be used consider the use of natural controls such as traps or organic sprays.